Ask anyone about the Dalmatian Coast and you'll most likely hear one of three things. One, it's the home of the Dalmatian dog. Two, it's supposed to be beautiful. Three, huh, where's that? 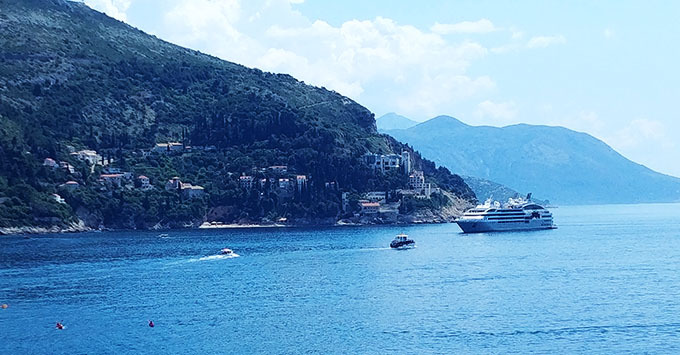 Prior to our recent Tauck small ship cruise along the Dalmatian Coast, which runs southeast from Venice down the length of Croatia and into Montenegro, we had the same thoughts. While we'd heard it was beautiful, we couldn't have pinpointed where it was on a map. 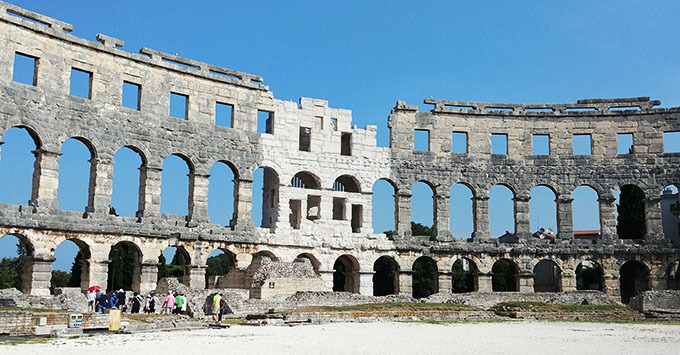 The cruise, which visited eight cities along the Dalmatian Coast, was an eye-opener, exposing us to a part of the world that isn't given much attention. It wasn't stunningly beautiful most of the time, but it was scenic, full of tumultuous history (both ancient and modern) and filled with people eager to share their piece of the world with us. If you're considering cruising to this part of the Eastern Mediterranean (it's technically the Adriatic, which is an arm of the Med), here are five things we discovered about the Dalmatian Coast. Ok, we did know this. You can't live in a "Game of Thrones" world and not hear about all the wonder that is Dubrovnik. Hearing about it and seeing it are two different things. It's unlike any other city we've visited, with the full circle of its medieval walls still intact and its narrow streets lined with shops and outdoor restaurants. 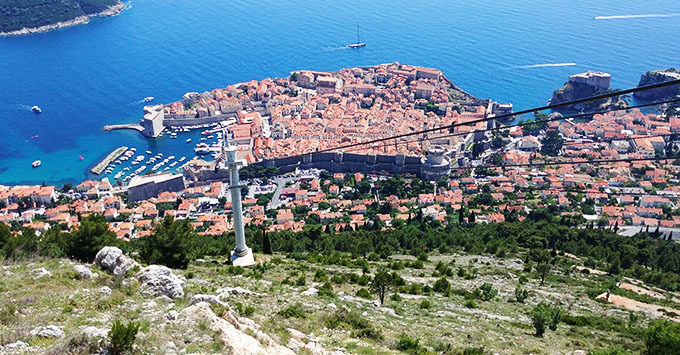 We spent about three-quarters of a day in Dubrovnik, walking the city walls (an amazing experience unto itself), exploring the narrow alleys, and viewing the city from the cable car. Overtourism is a buzz word here, as it is in cities like Venice and Barcelona, but other than in the morning when all the tours were getting started down by the port entrance, we didn't find it that bad (for locals, the tremendous growth in the city's popularity has caused problems.) We heart Dubrovnik and will be back, sooner rather than later. Historically, the Dalmatian Coast once belonged almost entirely to the Venetian Empire, and you will hear guides talk at least briefly about the Italian overlords, particularly in the northern part of the Croatian coast (on the Istrian Peninsula). In many cities, you will find baroque architecture in the government buildings and palaces, as well as fortresses built by the Venetians -- all remnants of those days. In some of the most northern cities (Pula and Rovinj, for example) you'll find lots of Italian restaurants, signs in Croatian and Italian, and even more of a lilt to the language. As with most of the Mediterranean, olives are a staple and you'll find olive oil everywhere you go. Olives aren't alone on the shelf of locally-produced goods that make you go ahhh, however. From capers in the south and truffles in the north, and lavender-scented everything everywhere, the entire coast is wonderfully aromatic and delicious. Though it became a joke among many of our fellow cruisers that everywhere you went you were served prosciutto, cheese and olives, no one seemed to get tired of it all; and we never heard one complaint about the lavender (And we know, based on shopping conversations we had, that many people left loaded down with olive oil, lavender sachets and truffles). To say we didn't understand the geo-political climate of the former Yugoslavia before our cruise would be a gross understatement. What in the United States is often referred to as the Balkan Crisis of the 1990s has different names in Croatia -- the Homeland War and the Croatian War of Independence (and different yet in Serbia, where the Croatians are considered traitors). Even after multiple lectures and guided walks, the numerous conflicts -- Serbs vs Croats, communists vs nationalists, Christians vs Muslims -- it was still hard to fully comprehend, which isn't surprising considering how far back they go (even to the fall of the Roman empire). Most of these conflicts remain unresolved, and you'll hear about lingering hatred and resentment. Some of the most moving experiences come from talking to people who survived the 1991 to 1995 war, especially in Dubrovnik, which was under siege the entire time.